Family vacations away from home can be a great way to bond as a family, and make some memories that will last a lifetime. Just remember, before you embark on your family adventure to ensure you all have proper travel insurance. Regarding your kiddos, there are a couple of avenues to take to make sure they have the coverage they need. Let’s have a look at them. Before purchasing any travel insurance for your young ones, be sure to check your own coverage. Some work benefits or credit cards may already carry travel coverage that extends to your child, permitting there are within the age limits and meet any other requirements necessary. If this sort of coverage is available to you, be sure to read the fine print and understand just what the coverage will cover. If it doesn’t meet the standards you are looking for, then it may be time to look for some travel insurance. If neither your work benefits or credit card, nor travel insurance extends sufficient travel coverage to your child, there are a few options you can take to ensure they have the coverage they need. When looking for coverage for your child (and yourself) the easiest way to find the best coverage for the best price is to shop around. You can use an online tool, such as the SmartCoverage travel insurance quoter, to compare prices on various travel insurance packages. This allows you to get the coverage you need for you and your children at the best possible price. Depending on the provider, you may have the option of getting an emergency medical family or companion plan (depending on how many are travelling in your party) for your upcoming vacation. This allows you to be covered under the same umbrella as your child, simplifying the process, and saving you money. If your child happens to have a pre-existing condition, you may find it a bit harder to find coverage for them. In this case, it is best to speak to a travel insurance broker and let them help you find the right coverage for your child. SmartCoverage does offer travel insurance to those with pre-existing conditions with their TravelSense plan. 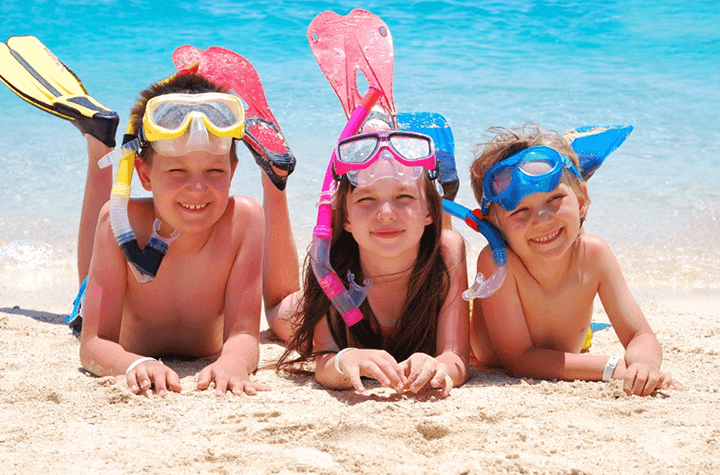 No child should miss out on vacation because of a pre-existing condition! With the TravelSense plan you can have the piece of mind that your child will have the proper coverage they need, so you can put your energy towards having fun and making memories as a family!